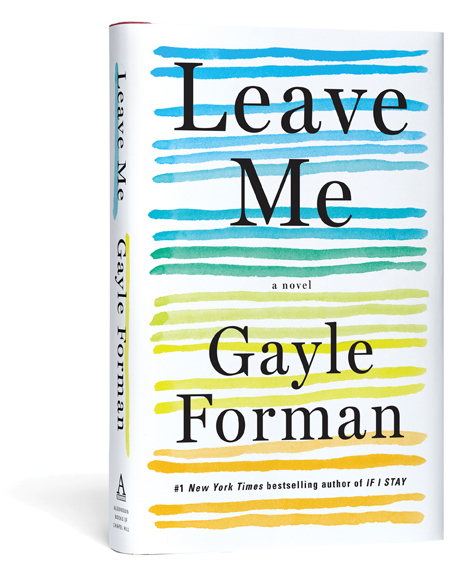 International bestselling author Gayle Forman brings “all the feels,” along with her trademark humor and insight, to her adult debut novel. Meet Maribeth Klein, your typical overworked, overextended default parent. She’s so busy that she doesn’t realize she’s having a heart attack, and so depended upon by her family that after heart surgery, she cannot recuperate. So she does the unthinkable: packs a bag and leaves. Only then does she begin to understand what she is really running from. “I recently listened to an interview with President Obama where he spoke about the fights he had with Michelle. And after many years of marriage, he said he understood that their fights were never really about the thing they were fighting about. Which is true of most marriages. Including the one at the center of this book. “Even after a heart attack and bypass surgery, Maribeth Klein is still the default caretaker of her family. So when she runs away, it seems like this inequity, this burden, is the reason. But the further away she gets from home, the more the reader, and eventually Maribeth, begins to understand that while she may carry a disproportionate amount of the weight at home, and while her health was in jeopardy, it was something else that drove her away. “Maribeth was 'left' by her birth mother when she was a baby. She was left again by her now-husband Jason when they graduated from college (they got back together a decade later). But it’s only when she’s nearly left again, this time by her own heart, her own life, that all of those unacknowledged abandonment fears, come burbling to the surface. This is why she runs away. 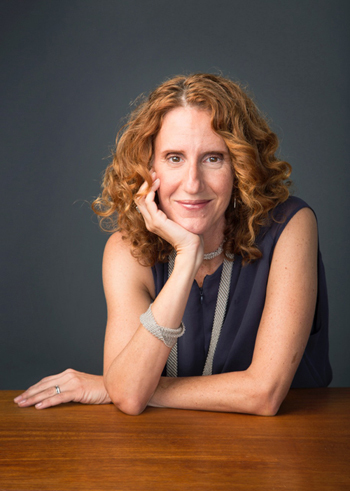 Gayle Forman is a journalist and award-winning and New York Times bestselling author whose many young adult novels include I Was Here, Just One Day, and If I Stay, which was also a major motion picture. She lives in Brooklyn with her family. It had been surprisingly easy. Maribeth had walked downstairs and hailed a cab, carrying only a hastily packed duffel bag with a few changes of clothing and her medications. She’d left her cell phone, her computer — pretty much everything else — at home. None of that felt necessary anymore. She had e-mailed Jason. An apology? An explanation? She wasn’t sure. By the time she was in the cab, the details of her note had already begun to fade. “Penn Station,” she told the driver. She had not known that would be her destination until the words came out of her mouth. Twenty minutes later, she was at the train station. Across the street was a branch of her bank. Maribeth was about to pull cash out from the ATM but instead she wandered into the lobby and asked a teller how much cash she could withdraw. Twenty-five thousand dollars turned out to be surprisingly portable. It fit snugly into her duffel bag. When she entered the mildewy cavern of Penn Station, she still hadn’t known where she was going. She’d thought maybe some quaint coastal New England town. And then she saw the departure board. She bought her ticket for the Pennsylvanian and went to one of the cell phone kiosks for a burner phone (testing out a vocabulary acquired during that one season she’d managed to watch The Wire). The clerk handed her a pay-as-you-go flip phone with a 646 number. She paid for one hundred minutes of talk time. She went into a Duane Reade and bought a bottle of water, a pack of gum, and some lice shampoo, just in case. Then she boarded the train. When the train emerged onto the Wetlands of New Jersey, Manhattan glittering in the afternoon sun, Maribeth thought it looked like something from a movie. Which was how it had felt. Like something happening to some actor on a screen. She was not Maribeth Klein, mother, leaving her two young children. She was a woman in a movie going somewhere normal, perhaps a business trip. On the train, exhaustion overcame her, a different flavor than the dragged-down lethargy that had plagued her back home. It was the floppy satisfying tiredness one gets after a long day of doing nothing in the sun. Using her duffel bag as a pillow, she went to sleep. When she woke up and went to the café car to get something to eat, she found a discarded City Paper on one of the tables. Inside was a tiny real estate section, with not much advertised, but there was a one-bedroom in a neighborhood called Bloomfield. She called from the train and spoke to the landlord, an elderly sounding man with a thick accent (Italian? Eastern European?) who told her the apartment was available, and not only that, it was furnished. The rent was eight hundred dollars a month. For an extra fifty bucks, she could move in a few days before the first of the month. She took it sight unseen. She spent her first night in Pittsburgh in a janky motel near the train station. The next morning, she took a taxi to her new apartment and gave the landlord, Mr. Giulio, first month’s rent, one month’s deposit, and signed a month-to-month lease. There was no FBI-level background check required of a New York City rental. No broker free amounting to 15 percent of a year’s rent. Just sixteen hundred dollars. When she paid in cash, Mr. Giulio did not bat an eye. As for leaving, leaving Jason, leaving her children, she kept hearing Luca’s words: You have to do that for yourself. A task assigned to others, falling back to her. In some ways it was comforting. So leaving them was not exactly easy. But it was something she already knew how to do.